This charming townhouse is located in the fantastic community of Windsor Hills. Fully furnished this home has 3 bedrooms and 3 bathrooms, a spacious living room and dining room combination, plus a kitchen with a breakfast bar and breakfast nook. The master bedroom is located on the second floor features a spacious ensuite bathroom. The home also has its very own enclosed private swimming pool with lights that glow beautifully at night. All this and only steps away from the main clubhouse and pool! Your family and guests are sure to enjoy their time here. The community of Windsor Hills has lots to offer such as a larger communal pool with a big slide, fitness center, playground, clubhouse, tennis court, and security. 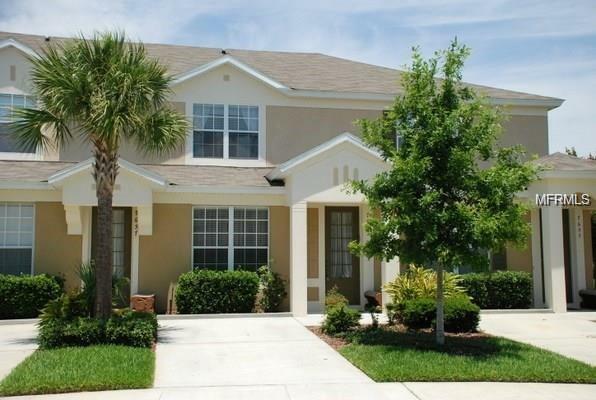 This townhouse is ideal for any family looking to enjoy all of Orlandos main attractions as it is only 5 minutes away from Disney, Sea World, Aquatica and Universal. This home is a perfect for a short term rental or a vacation home, stop by to see it today! Pet Restrictions Pets Can Not Exceed 25Lb in Weight.